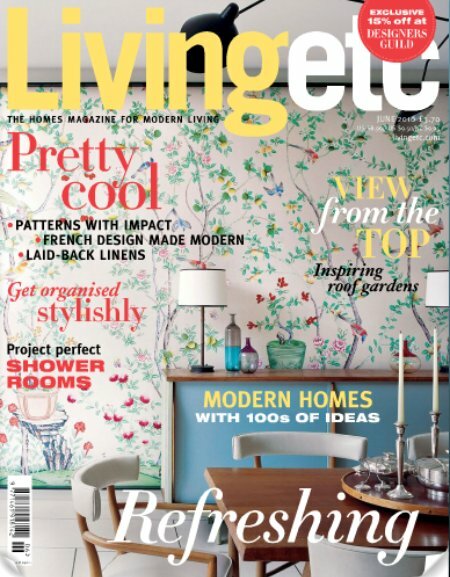 The cover of the June issue of Living Etc. is an ode to pretty. The beautiful floral wallpaper (once featured in our beloved Domino) immediately caught my attention. You all know that I love soft, feminine details. 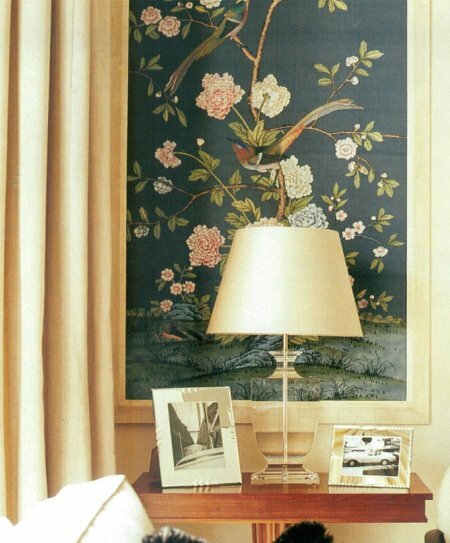 This paper by international company de Gournay is definitely feminine, and has a unique feel to it due to the way it’s produced. 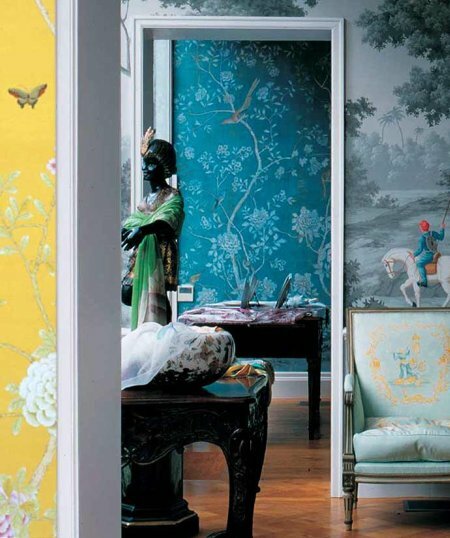 Every piece of de Gournay wallpaper is hand-painted. 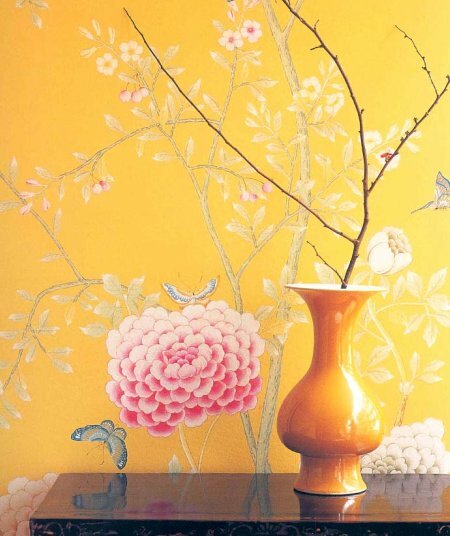 de Gournay hand-paints wallpaper, fabric, and even porcelain, taking traditional 18th century Chinoiserie and 19th century French designs and reinterpreting them for the modern home. The results are absolutely breathtaking. 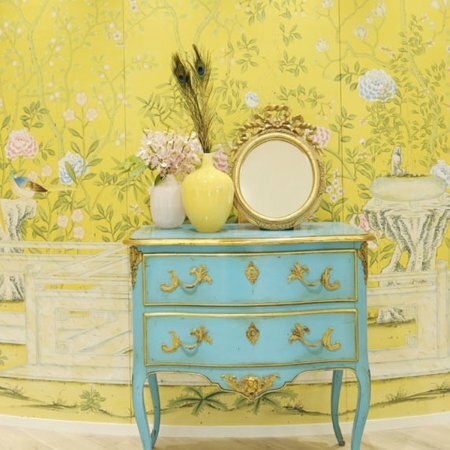 Whether on a feature wall, or covering a whole room these hand-painted wallpapers make a striking impact. Oh, how I would love an entire home filled with this beautiful paper on the walls. Keep a look out for the June issue of Living Etc. that features this beautiful wallpaper. You can get a little peak right here.